Description First and only printing in 1947 at 1/3d. 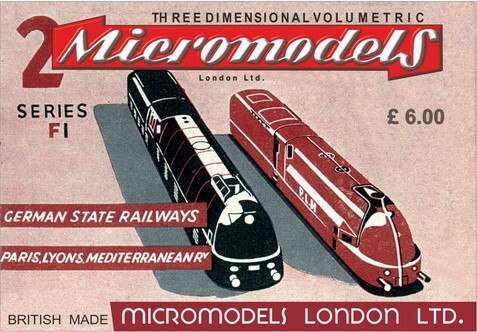 This is one of the first five post war Micromodels. Catalogued as out of print in 1951. 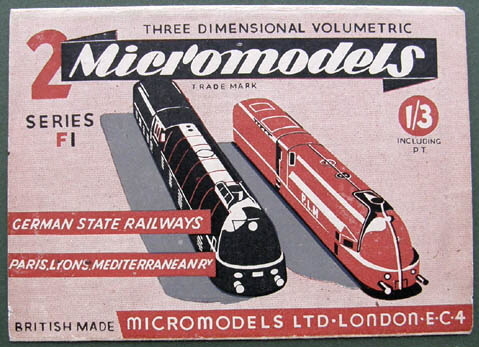 Micromodels London has designed a wrapper, and has the intention to publish the model in the near future as a packet with cards and a wrapper. 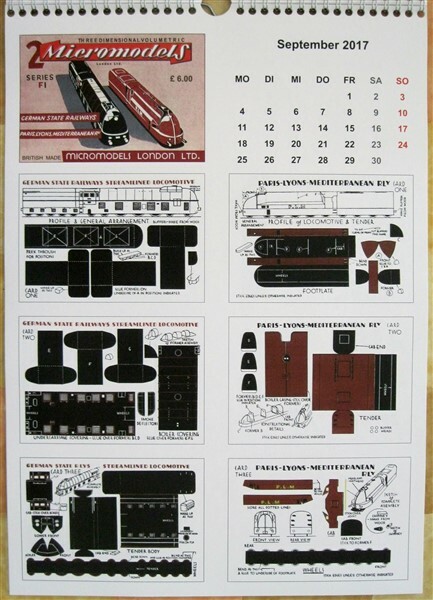 They already published it as part of their calendar 2017. 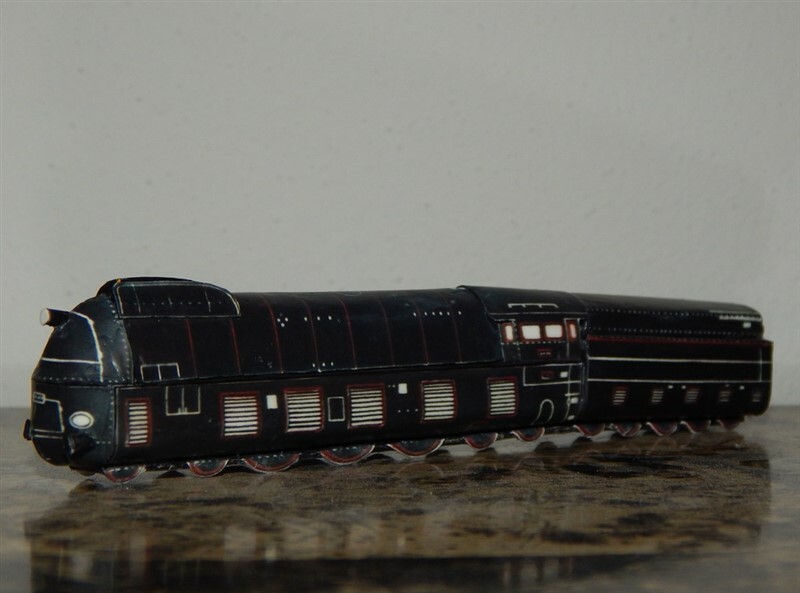 The German streamlined locomotive is of the BR 05 series. 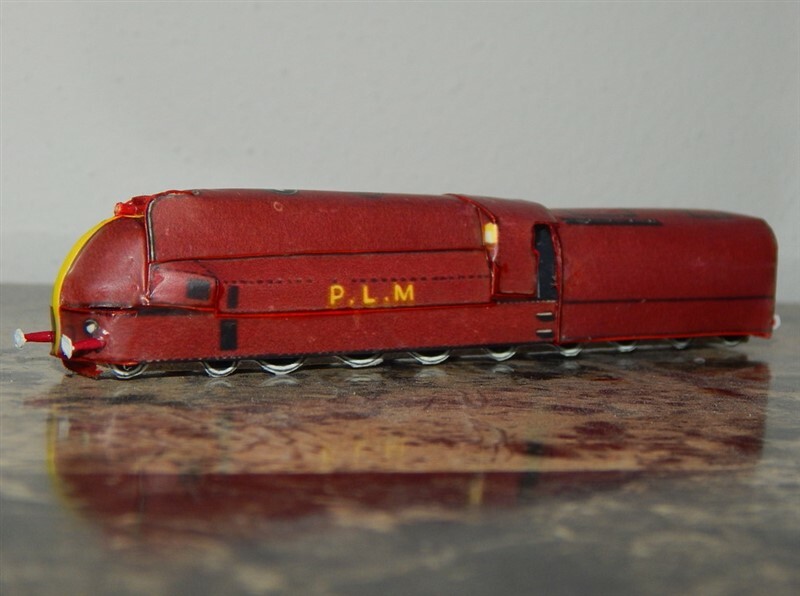 The French loco is a PLM 221 B series locomotive. 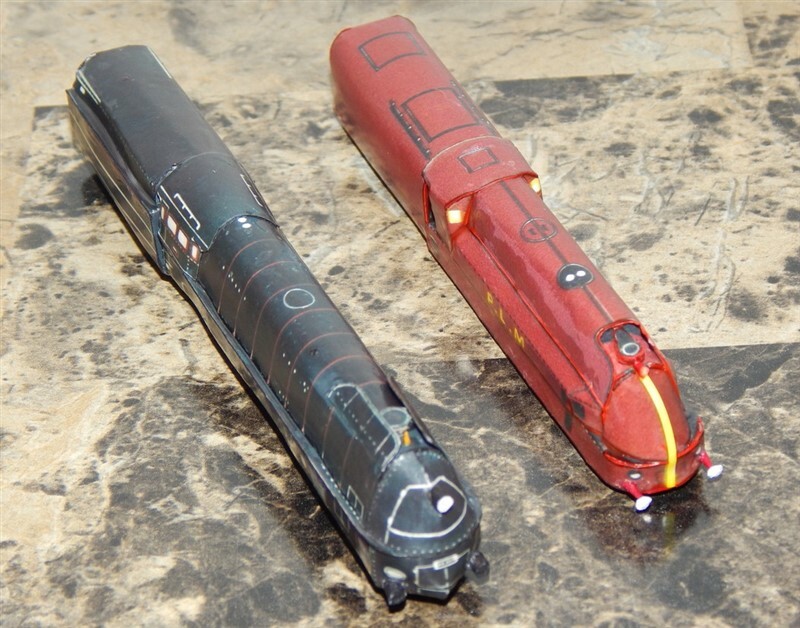 “ This set is interesting because both locomotives are entirely comprised of streamlined paneling. 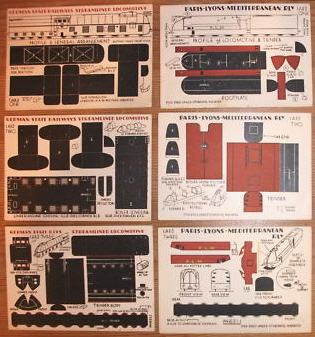 As is the case with Set M II’s Princess Coronation, the paneling must be shaped and curved out prior to fitting or else the model will look very chunky.